In our materialistic age, decluttering is essential, and Marie Kondo teaches how to do so to perfection. Having researched organizing and tidying homes and offices for years, Kondo today is a consultant who helps her clients keep their homes tidy and helps them organize their space effectively. 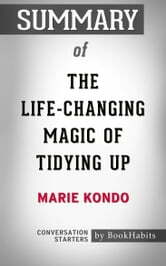 The Life Changing Magic of Tidying Up discusses how to go about discarding what you don’t require and how to organize what you do require. The rule of thumb is to keep what gives a spark of joy and surround yourself with things that keep you happy. This book takes an extremely minimalist approach to cleaning up, which should be especially helpful for hoarders. 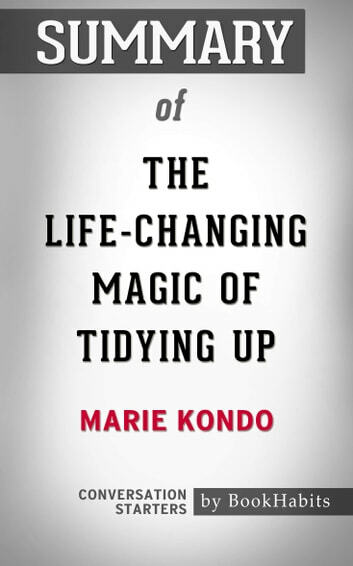 Disclaimer: This book you are about to enjoy is an independent resource to supplement the original book, enhancing your experience of The Life-Changing Magic of Tidying Up. If you have not yet purchased a copy of the original book, please do before purchasing this unofficial Conversation Starters.